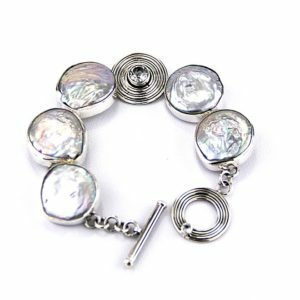 Sophisticated Pearl and Sterling Silver Bracelet by Reve Jewelry. 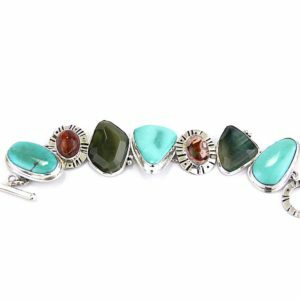 The stones include turquoise, citrine and peridot and may be customized. 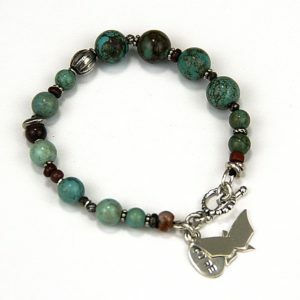 The bracelet pictured is 7" in length and may be ordered smaller or larger. 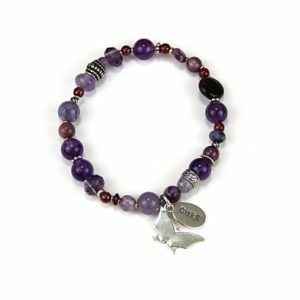 One of a kind bracelet by Reve Jewelry created especially for the Rutledge Foundation. 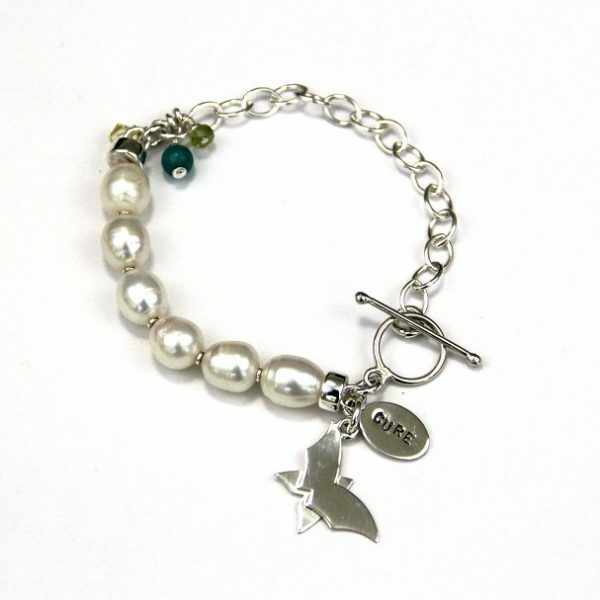 All net proceeds from the sale of these pieces go directly to the Foundation. The tags read “care” on one side and “cure” on the other. You may personalize the tags to honor a loved one with initials or a word. Each piece is hand made and the butterfly is hand cut to represent the Rutledge Foundation logo. Go to rutledgefoundation.org to learn more about this worthy cause and their mission to battle young adult cancer.